It's Christmas time here in stately Vredenburgh Manor and my reading time has been limited. I was hoping to finish off The Xothic Legend collection tonight and that just didn't happen. Also, if you didn't catch me saying it on the facebook, it's very, very dull. Try as I might to let Robert Price's introductions whip up some modicum of enthusiasm in me for Carter's stories, it just ain't happening. To get the taste out of my mouth, I'm going to try to read one of the books Carter republished in the Ballantine Adult Fantasy series, The Last Unicorn. On the other hand, I am gearing up to see Gov't Mule Tuesday night, so I got that going for me. Actually, I'm very excited. The thing about the Mule is anybody can just show up and play with them. They also do all sorts of cool covers in addition to their own bluesy power trio originals. I don't see much live music these days other than the luminous Mrs. V's various bands so this is a big deal. So that's all I got to say for now. I hope everybody has had a great Christmas ans has a Happy New Year's Eve. 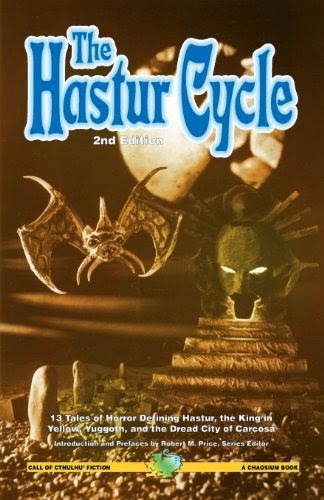 Starting with The Hastur Cycle in 1993, Chaosium Games started printing a series of Lovecraftian fiction anthologies. Robert M. Price seems to have been in overall charge of the project, with others editing from time to time. 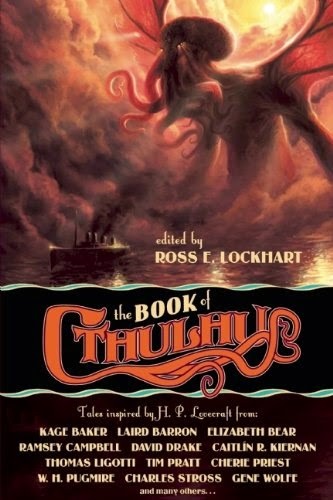 Most of the volumes focus on a single aspect of the Mythos, be it a location, like Innsmouth, or a deity, like Cthulhu. 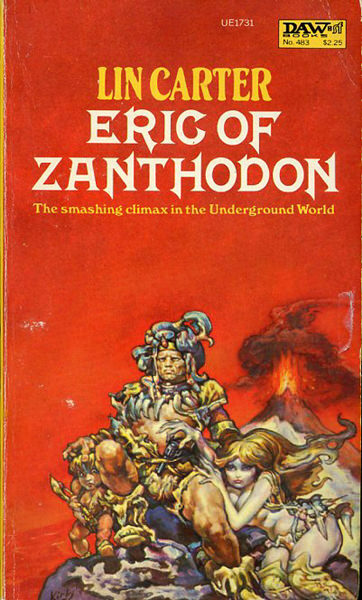 Several collect the Mythos fiction of notable authors such as Clark Ashton Smith or Lin Carter. 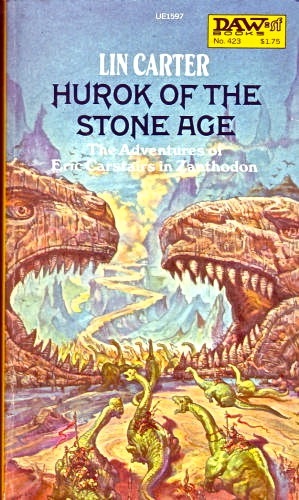 There are several general anthologies in the series, including a reprint of Edward Berglund's seminal Disciples of Cthulhu. You can read the previous entry here. I'm hoping to reread and review as many of them as possible before I lose too many SAN points. I hope you'll drop by with each new post. I love Lovecraft. I love the betentacled, squamous, squelching monsters. I love the brooding atmosphere and cosmic horror. I love the strings of adjectives. I love I share my birthday, August 20th, with him. I started reading Lovecraft when I was almost eleven years. The very first story I read was "The Festival." It was the night of the 1977 NYC Blackout and I read it out loud to my friend, Jesse B. who was sleeping over while his parents were out of town. 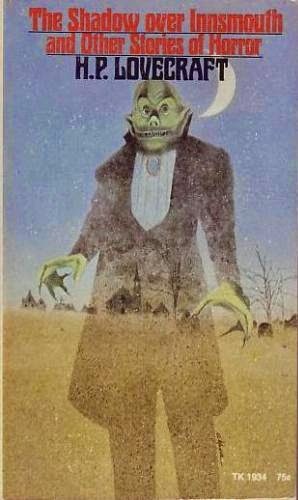 It didn't really scare us but it was creepy enough to make me read the rest of the book, The Shadow Over Innsmouth and Other Stories of Horror published by Scholastic Books( !). As an introduction to HPL's work, it was a pretty alright place to star. 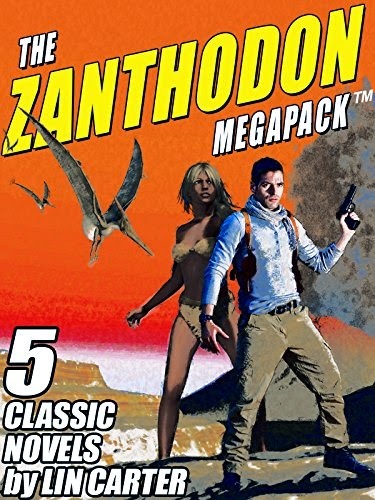 While it includes weaker stories like "The Transition of Juan Romero" and "Imprisoned With the Pharaohs", it also has the monumental "The Colour Out of Space" and "The Shadow Over Innsmouth." That book made me a fan for life. 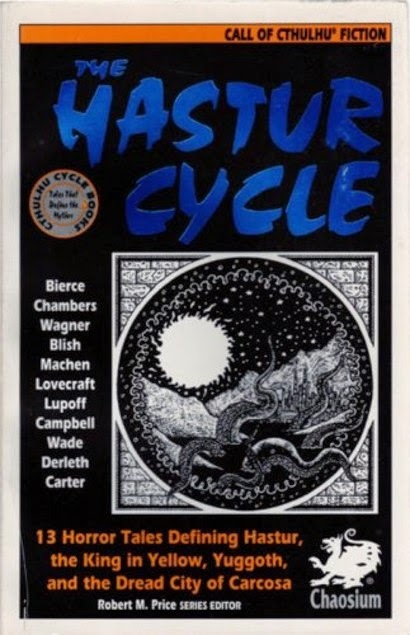 The Hastur Cycle, edited by Robert M. Price, is a good book with some dull stories in it. That isn't as contradictory as it sounds. For each gem there's a snoozer only worth reading for its place in the development of the Lovecraft Mythos. Price, one of the major contemporary Lovecraftian, scholars lays a marker down in his forward about what he hoped to accomplish in this volume and I believe he makes a pretty good case for himself. 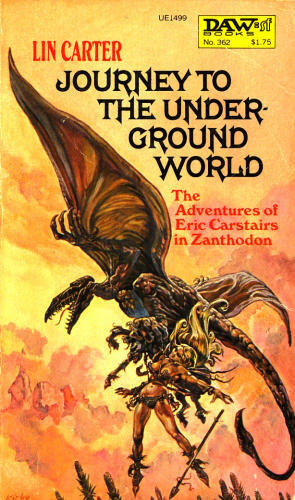 August Derleth wrote to Lovecraft that he should call the emerging shared world of stories The Hastur Mythos. 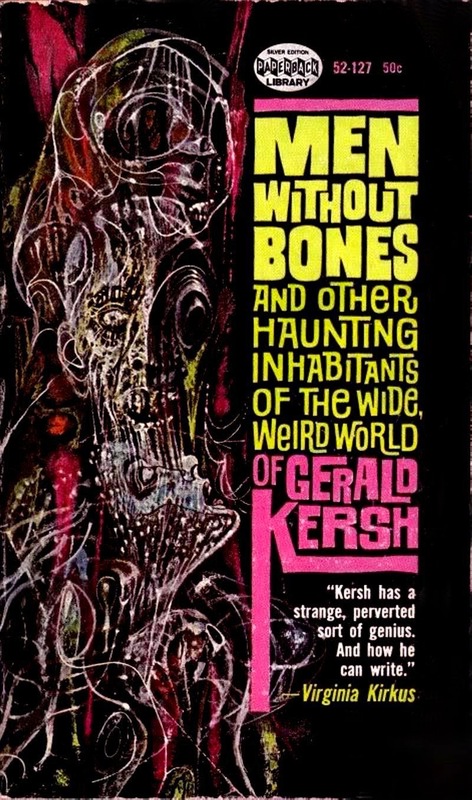 While Price thinks Derleth just wanted to use the name of the god that was starting to loom large in his own stories, it evinces a brief moment of insight on the young author's part. The shared world of tales shouldn't be named after HPL's own creation but one that indicated the Mythos extended before HPL and would continue to beyond him into the future. The first two stories, "Haïta the Shepherd" (1891) and "An Inhabitant of Carcosa" (1886) by Ambrose Bierce, introduce some of the names that will become part of the central invented lore concerning the figure of Hastur. In the first, Hastur is a the god worshipped by the titular character. The second is a presented as the transcription of a spirit speaking through a medium. This is where the ruined city of Carcosa is mentioned and Hastur's eventual home, the star Aldebaran, first appears. I don't have anything to say about the two (very short) tales. Their importance lies in helping inspire the next two stories, Robert W. Chambers' nutzoid "The Repairer of Reputations" (1895) and "The Yellow Sign (1895)." Chambers took character and place names from Bierce and added The King In Yellow, a fictional, decadent play apt to drive its readers mad. Mixing these elements together, there's a hint of reality that only heightens the more disturbing parts of his stories. "Repairer" is a story told by a man manipulating his way to ruling an alternate 1895 America, replete with state sponsored suicide chambers along Washington Square Park and a German invasion of New Jersey. Or it's mad man with head trauma spinning his delusions into a web of paranoia and murder. 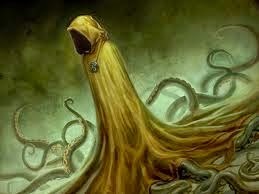 Whichever it is, that dangerous book, The King in Yellow that sits at the heart of the narrator's tale. This startled the heck out of me when I first read it twenty years ago and it still does today. 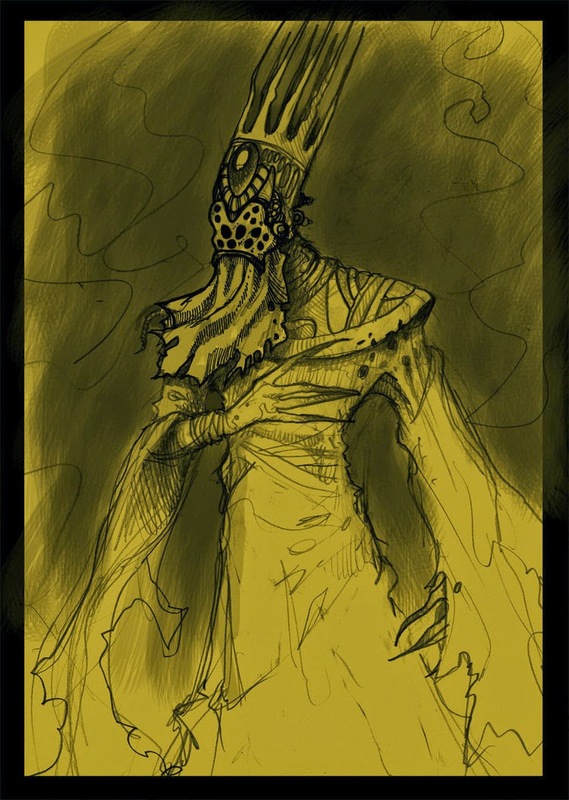 "The King in Yellow" is a more straigh forward frightener. 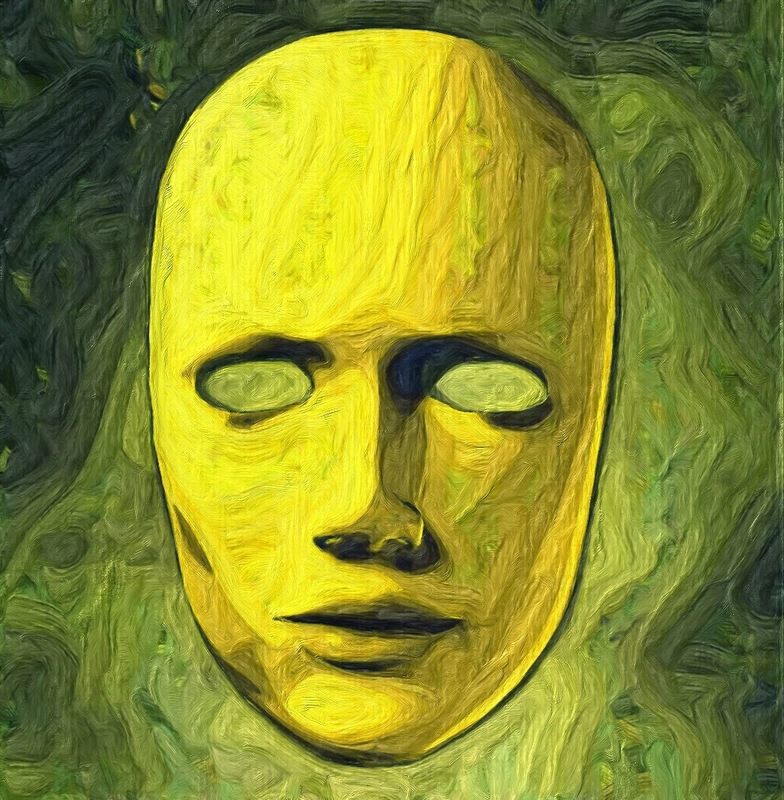 A louche artist (and reader of The King in Yellow) living near Washington Square Park, sees a strange man working at a nearby church. Soon his dreams are invaded and things start to go terribly wrong. His relationship with his virginal model starts to go wrong and soon all sorts of unpleasantness occurs. Chamber's invented book clearly points in the direction of Lovecraft's own tome, the Necronomicon and all the various invented volumes evil lore that followed. Only the barest hints of the contents of the The King in Yellow are given which of course lets the reader's imagination run wild. Just where is Lake Hali and what is the Pallid Mask? What is the Yellow Sign that the narrator is asked if he's fouind? This is a magniicent story that still disturbs more than a century after it was written. Stealing a line from "Over at the Frankenstein Place" from Rocky Horror, "The River of Night's Dreaming" (first published in Whispers III, 1981), by Karl Edward Wagner, is an excursion into madness, again triggered by The King in Yellow. An escapee from a psychiatric hospital finds herself involved in dark, decadent doings in a old mansion in an abandoned and decaying town. Again, is it real or madness? I'm a big fan of Wagner's but I never particularly cared for this story. Rereading it in the context Price has created I liked it much more. The descent into despair or madness the protagonist suffers is well portrayed and quite unnerving. 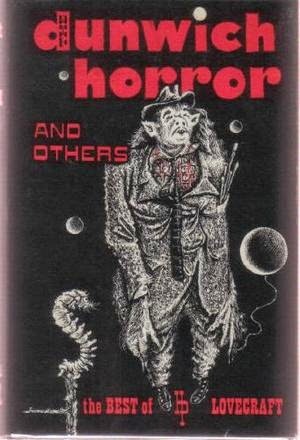 While primarily a science-fiction writer (Cities in Flight, A Case of Conscience) and critic, James Blish, like so many others, was a youthful correspondent with the Old Gent from Providence on matters of horror. Part of a real letter he wrote to Lovecraft, asking if he ever intended to write a complete version of the Necronomicon, forms part of Blish story "More Light (first in Alchemy and Academe, 1970)." It posits that Chambers actually sat down and wrote out The King in Yellow and Lovecraft came into possession of it. A writer named William Atheling (Blish's own real-world pen name) has come into possession of it and he wants his friend to read it. 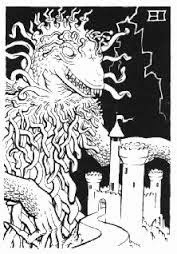 The contemporary portion of the story is good enough, but, sadly, by attempting what Chambers and Lovecraft never did, in creating large chunks of text for The King in Yellow, the story falls flat. It's neither chilling or disturbing. But I don't think that matters. 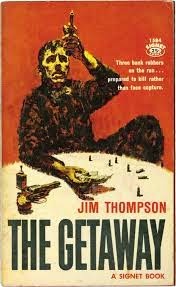 I don't think it's possible for anyone, even a writer as talented as Blish, to create a play that's able to generate madness. Arthur Machen's "The Novel of the Black Seal" (1895) seems to have introduced the idea of a race of semi-human beings who live under the earth and are the truth behind stories of the little people and changelings. Machen drew on Margaret Murray's silly theories of pastoral, goddess-worshipping humans who retreated into the the wild spaces of England. 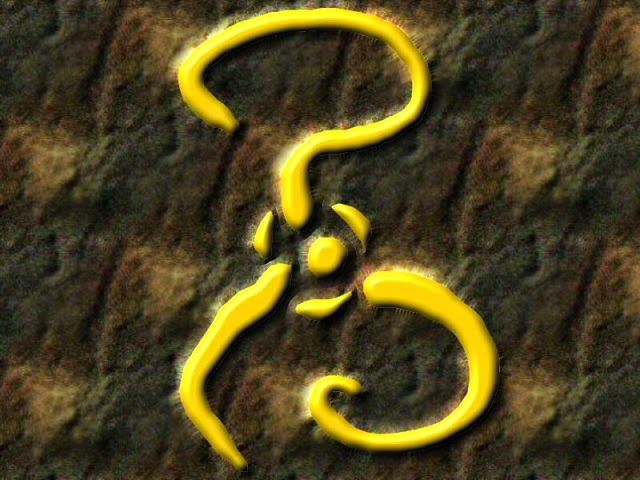 Price believes that Machen's story informed Lovecraft's own stories of strange creatures living and lurking behind the legends. 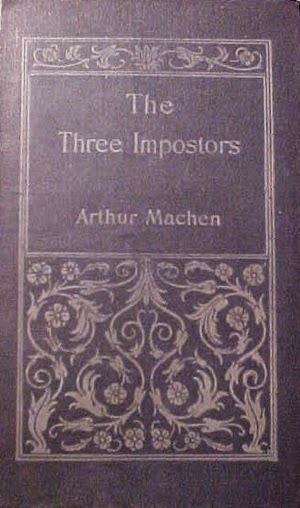 The story is a part of Machen's novel of interwoven tales, The Three Impostors. A young woman, destitute and on the verge of giving up, encounters an eminent scientist. He hires her as his children's governess thereby saving her from despair but also bringing her in to contact with the primal terrors lurking under England's green and pleasant hills. I love this one and it's borne up well after multiple rereadings. Finally we come to Lovecraft's own "The Whisperer in Darkness (first in Weird Tales, 1931)." It's linked to Bierce's stories by the use of Hastur, though clearly he's no longer a shepherd's god. There are also mentions of the Yellow Sign, the Lake of Hali, and Dunsany's Bethmoora for good measure. For those who haven't read it, well, you should. It's one of Lovecraft's big ones. While less subtle than I remembered, it still does a great job at creating a feeling of impending isolation and doom as the mysterious being hiding in the Vermont hills take action to prevent their discovery. The ending might seem cliched at this point but the first time I read it I was suitably creeped out. A professor from Miskatonic University is caught up in a debate over whether strange bodies found in the wake of the Great Flood of 1927 are simply bloated animals or strange beings said to live on isolated hilltops. He is skeptical of any claims of boogie men hiding in the woods. Soon after his argument graces the pages of the newspapers he begins he is receiving letters, and later phonograph records, from a retired academic in Vermont that begin to make him change his mind. Price makes a strong case, based on the general theme of a hidden race, as well as numerous little tips of the hat to Machen, that Lovecraft's story is "essentially a rewriting, a new version of Machen's." Reading them back to back, I can see his point. 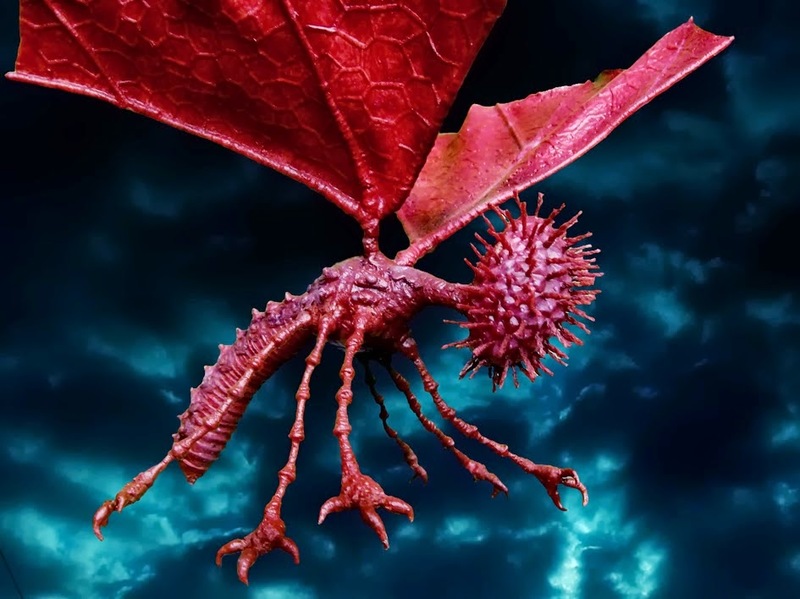 Instead of human throwbacks hiding behinds stories of goblins, it's aether-riding aliens (winged, fungus-crab things from beyond our solar system if you must know) obscured by stories of the Yeti and strange figures moving above the Vermont treetops by night. This (and Robert Bloch's "Notebook Found in a Deserted House") made me more than a little uneasy during my first drive through the Vermont woods decades ago. Robert Lupoff's "Documents in the Case of Elizabeth Akeley" (first in F&SF, 1982) is a sequel to Lovecraft's "Whisperer." It takes claims made by the antagonists in the earlier story seriously and spins out what might have happened next. It's an interesting spin on things but I found it dull. Dull to the point I had to keep forcing myself to pick the book back up and finish the story. Ultimately, it's pretty much a body-swap love-story mashup that I could've done without. 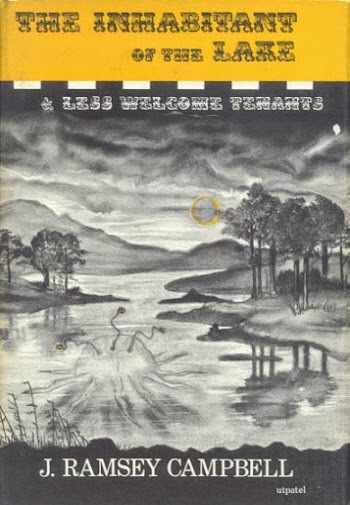 "The Mine on Yuggoth" is one of Ramsey Campbell's earliest stories, first seeing print in The Inhabitant of the Lake and Less Welcome Tenants (1964) which was published when he was still a teenager. It's not great, but it's not terrible either. There's a verve that I've rarely found in stories by those other pasticheurs, August Derleth and Lin Carter. More of a science-fantasy story than horror, there are still a few very good bits that make it more than worth the fifteen minutes or so it takes to read. James Wade's "Planetfall on Yuggoth" (HPL, 1972) is about a space mission to Pluto. Lovecraft's fiction exists in the story but it soon becomes clear it was more than just storytelling. 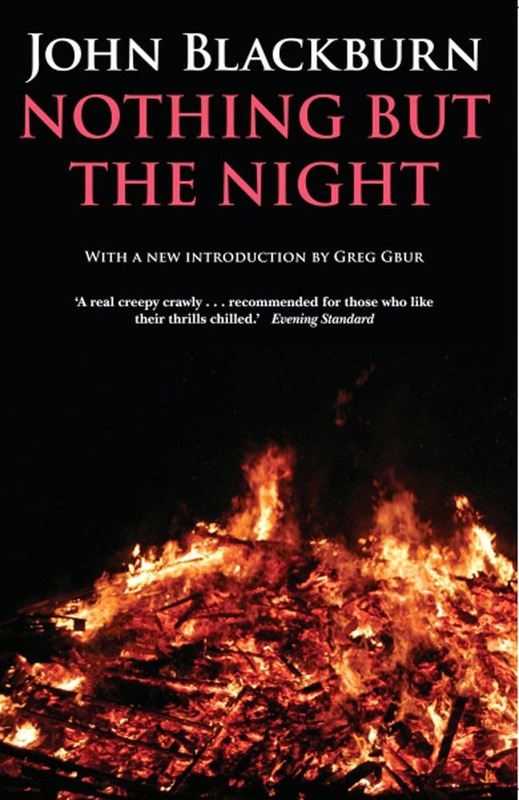 Then we discover Ramsey Campbell's stories are more than fiction as well. It's slight, a bit of a goof, and perfectly enjoyable. Then we get smacked in the face by August Derleth's terrible "The Return of Hastur (Weird Tales, 1939)." It's one of his early Mythos stories and I can't say anything about it except it's awful. 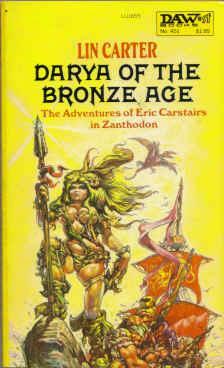 Price's introduction includes a letter from Clark Ashton Smith to Derleth advising him how to fix the story. Every bit of advice was rejected and the story suffers for it. Aside from the whole elemental take on the Mythos he would become infamous stinking up the story, Derleth's characters are never believable. There's barely a moment of suspicion or incredulity about the spooky goings on. Within a few pages people are glibly talking about strange fish-men from Innsmouth and gods and demons. And none of it's scary, or fun, or even very interesting. It feels like Derleth wanted to fit the disparate bits and pieces of Lovecraft's stories and make it all make sense. Price states that Lovecraft explicitly didn't want everything to make sense: "Lovecraft always explained to correspondents that he did not achieve perfect consistency in his various stories, say, in what each said about Cthulhu or the Necronomicon, for the very good reason that he wanted his shuddery allusions to these eldritch items to reflect the inconsistencies, duplications, and redundancies of actual ancient myth cycles, where, e.g., we find two of three origin tales for the same goddess or shrine." Things pick up considerably with "The Feaster from Afar" by Joseph Payne Brennan. It was first published in the original Disciples of Cthulhu (1976) but rights issues meant it didn't make Chaosium's reprint. Price was able to snag it for the 2nd edition of The Hastur Cycle. Again it's set in the "real" world, where Lovecraft exists and is a writer strange stories that turn out to be real. I don't love that conceit, never finding it to work very well. How did HPL write what he did without getting killed right away? Nobody except the narrator or some inbred yokel knows he was telling the truth? Nope, it just doesn't work for me. On the other hand, the story itself is pretty alright. A successful writer of mid-list historical fiction makes the mistake of going to Lovecraft country to find some peace and quiet so he can work on his next novel. Try to guess what happens to him. Despite it's lack of an original plot, Brennan does a good job with it and the feeling of swiftly encroaching doom is well done. The Hastur Cycle concludes with a series of poems by Lin Carter. Inspired by Bierce, Chambers, and James Blish's work in "More Light." They're a mess and Price says so as well. Carter was driven by the need to make all the pieces fit together and make sense even more than Derleth. As much as I'm looking forward to reading The Xothic Cycle, Carter's collected Mythos stories, these poems made me dread it a little bit as well. There are better books in this series than The Hastur Cycle but not many that make Price's case as well as this one. Each step of the way you can see how each story sort of moves on to the next one: Lovecraft builds on Machen and on Chambers who built on Bierce. Wagner looks back to Chambers and Wade looks to Lovecraft and Campbell. The book makes as good a case as possible that the Cthlhu Mythos is something greater and more inclusive than just the stories of HPL. 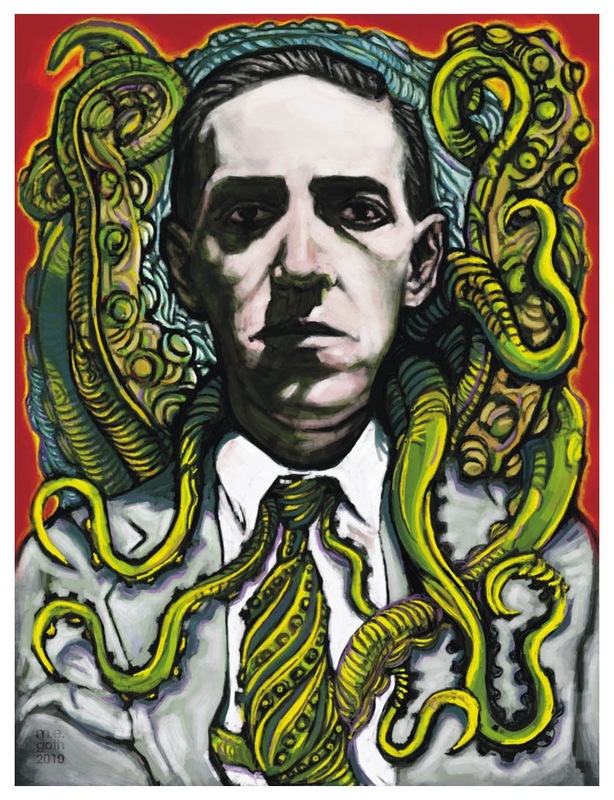 "In the same way, it seems to me highly misleading to take Lovecraft's stories and myth-concepts as the definitive version and to view Chambers and the others as leading up to it, Derleth and the others as representing a declension from it. Each has its own integrity, its own priority. Lovecraft has his moment upon the stage, but then he is replaced by a new teller of a new version." When this volume first came out, many of these stories were not familiar to me at all. "Repairer of Reputations" blew me away and still does. It's the same for "The Novel of the Black Seal." I don't totally agree with Price's thesis, but I know he comes back to it again in later volumes. As much as Lovecraft drew on earlier authors I think he was doing something entirely different than them. I also see too many of the later authors as too more concerned with mimicking HPL instead of trying to contribute to a larger, inclusive Mythos. 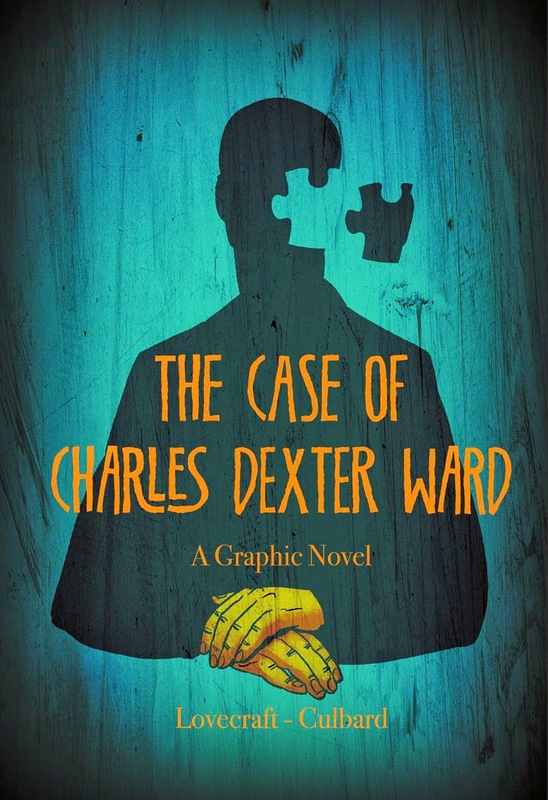 Still, after finishing The Hastur Cycle I admit I'm looking forward to see if I can be swayed to Price's side. The later, post-HPL stories are a decidedly mixed bag of tentacles and pincers. Several are very early examples of Mythos fiction. Sadly, Derleth's is a perfect example of the bad path taken by many other writers. Explain everything, don't bother to build any sort of atmosphere, then explain everything a second time. It's not good. Still, if you want to see how this great blobby mass that is the Cthlhu Mythos was influenced and grew, this is a good place to start. The less well known stories were hard to come by in 1993. By pulling them together with several important (and great) ones Price did a great service for Mythos readers. Price's essays are major bits of Mythos scholarship, well worth reading. Definitely get the 2nd edition with "The Feaster from Afar" in it. Next Time: The Xothic Cycle, The Complete Mythos Fiction of Lin Carter, edited by Robert M. Price. It's been a while since I've mentioned new books bought. So here goes. This was on sale and I wanted a digital version of Ramsey Campbell's "The Tugging." And there's a Charles Saunder's story in there to boot. Reading a lot of hardboiled over the past month prompted me to finally get a copy of this. I only recently learned of Kersh and the terrific title story. For $1.99 you can't go wrong. This I borrowed for free from Amazon. I like the Christopher Lee movie based on it, and loved his first novel, A Scent of New-Mown Hay. 'Cause why not? Great so far. This just popped up on radar last night. For $.99 how could I not buy it even without the gorgeous Josh Kirby covers. Between this omnibus, the rest of the Thongor books, and the upcoming Xothic Cycle, it looks like I'm going to be having a very Lin Cartery New Year. Finally, I should have the first Chaosium Mythos Fiction review up this week. The Hastur Cycle, despite some weak stories, has really rekindled hpl, my interest in Mythos stories. This site's gonna become very Cthulhuly for the next few months.